As part of MIT's continued mission to help build a better world, the Institute announced the creation of the Alana Down Syndrome Center, an innovative new research endeavor, technology development initiative, and fellowship program launched with a $28.6 million gift from Alana Foundation, a nonprofit organization started by Ana Lucia Villela of São Paulo, Brazil. The proportion of early-stage drug trials tackling the biggest cancer killers has declined sharply since the early 1990s as less common tumor types receive increasing attention, according to new research to be presented during the International Congress on Targeted Anticancer Therapies 2019, taking place from today to 27 February in Paris, France. Patients with Duchenne muscular dystrophy have few treatment options. Medications currently available or in development either target only a subset of DMD patients with a particular genetic mutation or cause significant side effects. Columbia researchers have learned why some glioblastomas--the most common type of brain cancer--respond to immunotherapy. The findings could help identify patients who are most likely to benefit from treatment with immunotherapy drugs and lead to the development of more broadly effective treatments. Stimulating the brain with implanted electrodes is a successful, but very drastic measure. Researchers from Eindhoven University of Technology, Kempenhaeghe, Philips and Gent University will therefore be working on a method to stimulate the brain using electrodes that are placed on the head rather than inside it. 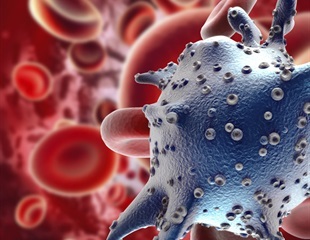 Researchers have been struggling for years to find a treatment for patients who have a recurrence of acute myeloid leukemia (AML), an aggressive blood cancer that is one of the most lethal cancers. About 19,520 news cases are diagnosed a year, and about 10,670 people a year die from it, according to the American Cancer Society. The investigational Ebola treatment mAb114 is safe, well-tolerated, and easy to administer, according to findings from an early-stage clinical trial published in The Lancet. Vaccinations have begun in a Phase 1 human clinical trial testing a freeze-dried, temperature-stable formulation of an experimental tuberculosis vaccine candidate. Scientists at the University of Louisville have shown that a microbial metabolite, Urolithin A, derived from a compound found in berries and pomegranates, can reduce and protect against inflammatory bowel disease. Researchers from the University of Helsinki in cooperation with the University of Tartu, Competence Centre on Health Technologies from Estonia, and the Karolinska Institute, published an article in Nature's partner journal Genomic Medicine in which they present Targeted Allele Counting by sequencing along with several of its potential applications. A new therapy aimed at improving the sight of people with one of the most common forms of childhood blindness, has shown 'very promising' initial results, according to a study involving UCL researchers. Heart and lung complications are responsible for much of the morbidity and mortality associated with Duchenne muscular dystrophy (DMD).